Rodolfo V. Ramirez, 84, of Toledo, Ohio, passed away August 28, 2018 at Mercy Health - St. Vincent Medical Center. 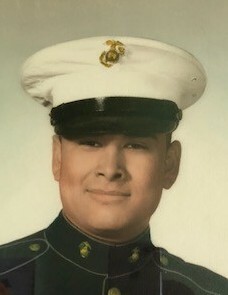 He was born April 27, 1934 in Edcouch, Texas to Martin and Georgia (Villarreal) Ramirez. 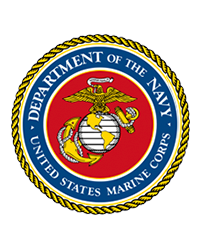 Rodolfo proudly served his country as a Marine in the Korean War. He was a supervisor for Martin-Marietta for 24 years. Rodolfo always put his family first, and he loved to spend time with his kids and wife. He enjoyed watching Mexican television and movies, he was a huge boxing fan, and he enjoyed playing bingo. Rodolfo would often be around town as the lead singer for a mariachi band. He is survived by his wife, Aurora Ramirez; children, Roy Ramirez, Rudy Jr., (Denise) Ramirez, Linda Ramirez, Alicia (Scott) Klett, Alejandro Ramirez, Zulema Ramirez-Leonard; eleven grandchildren; two great-grandchildren; brothers, Remigio (Martha) Ramirez, Victor (Carmen) Ramirez; sisters, Ninfa Orozco, Mela (Iggy) Garcia; and many loving nieces and nephews. He is preceded in death by his parents; daughter, Elizabeth Ramirez; sister, Lupita (Delmido) Ramirez-Anaverde; brother-in-law, Eddie Orozco and niece, Mary Jane Anaverde. The arrangements are being handled by Freck Funeral Chapel. According to Rodolfo’s wishes, services will be private.